San Ignacio Belize, the land of hills, Mayan ruins, awesome rivers and some of the best food in all of Belize! Hitting up San Ignacio in your search engine will bring up more locations, pins, and attractions than you can shake a stick at – despite all there is to do, and you should try all of it, there are a few that should go before anything else. Breakfast, we’ve been told, is the most important meal of the day, and that makes sense. How else will you have the fuel you need to take you through all your cool adventures around town? Obvious benefits aside, you really need to try these San Ignacio mainstays for a first meal to totally brighten up your day. The quintessential quick breakfast joint. Mincho’s serves up many deep fried delights mostly based on Latin American cuisine. Their burritos are freshly made flour tortillas rolled around savory shredded chicken and blended beans, if you’re feeling extra hungry you can even order extra chicken or cheese or both! Their empanadas (stuffed with fish, chicken, beans or ground beef), fried tacos, salbutes and super tacos are probably not the best for your health but your taste buds probably won’t even care. Pop’s is a famous name in San Ignacio – hands down the best breakfasts and the most popular morning meeting spot for many people. Recently expanded, Pop’s had a space problem in the past where people would even wait outside sometimes with their entire families for a table to sit and grab a bite to eat. The Great Mayan Prince restaurant (also equipped with a hotel) is a newcomer to the scene and are not yet really on the scene though we think they should be. The Great Mayan Prince, living up to their name by serving Maya-Mestizo cuisine like omelets and scrambled eggs with sauteed chaya mixed into them and huevos rancheros (which are eggs sunny side up bathed in a tomato sauce – yum). Their pancakes and waffles are always fluffy and perfectly cooked (though it’s hard to mess those up to begin with) and the service is homely and inviting. Do give this place a hit if you’re hungry in the am. There’s a ton to do in the Cayo district at any given point in time and being the largest and most strategically located makes San Ignacio the perfect launch pad to any adventure you can dream of in the area. If you’re short on time or don’t know where to start – read on. The folks over at Ajaw (pronounced Ah-how) Chocolate & Crafts have opened their doors allowing anyone in the San Ignacio area the opportunity to learn about the history of one of the world’s favorite snacks. 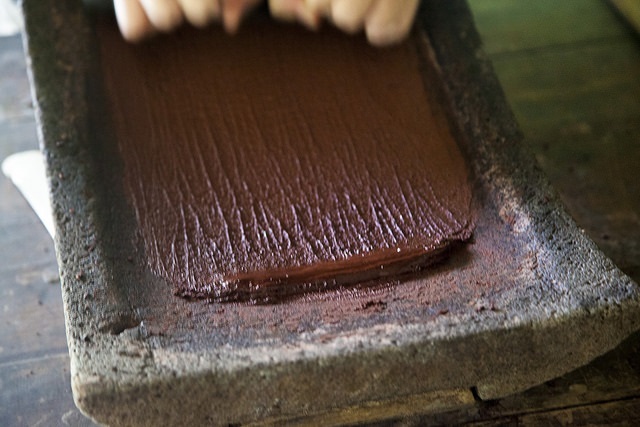 On their chocolate making tour, they’ll give you the run-down of chocolate in history – particularly on its importance to the ancient Mayan peoples that inhabited Belize and the surrounding countries for thousands of years. Cocoa beans were used as currency in Mayan society, the beans were ground and mixed into a drink for nobles and great warriors – it was thought to give power and fortitude to those who drank it. On the tour, you’ll learn how to hand grind beans the traditional way, make the xocolatl drink and even form your own chocolate bars! It’s a fun and engaging activity for all members of your family and you’ll get to take home organically grown hand-made chocolate, what could be better? In recent years the town of San Ignacio has developed a colorful love affair with wall murals. all around town, through random corners and on the sides of prominent buildings stand vivid colorful works of art made by locals. The inspiring bit? They’re all exclusively filled with positivity and forward facing creativity. While there’s no formal guided tour (yet) of these chromatic delights, that certainly shouldn’t deter you from picking up your camera (or phone) and venturing out for a day exploring the town! A few ones not to miss – not that you should overlook any, are the San Ignacio Mural at the police station beside the bridge, the bank murals and the Maya Mural across from the post office. Now that we’ve pointed out a few you should get out and explore to find the rest! At one point in time, settlers in this area thought that what is now San Ignacio was an inland island. This is because they could see no way to get here other than crossing a river. These days we know a little better and that place that had initially confused settlers is now called Branch Mouth. Branch mouth is the convergence point of the Mopan and Macal Rivers to form the Belize river that makes its way out to the sea. It’s been the locals’ swimming spot since near the time of discovery and for those of you who have never seen two rivers converge it is something you should stop by and see. As parts of a new development (There’s a lot of “new” going on here it seems) two sports complex have been practically rebuilt on our side of town, and they’re nothing short of beautiful. Going for a run and taking a deep breath in San Ignacio never felt so good – or pretty for that matter. Victor Galvez stadium and Falcon Field are great places to see and meet locals who all come out to get the edge of the day off by sweating a bit. It’s difficult to be in a bad mood after you’ve just sweat your heart out. Marie Sharp is a household name in Belize. The single biggest brand of hot sauce and aside from Belikin one of the most recognizable Belizean brands in existence. If you’re a hot sauce enthusiast or a history buff or just curious about everything then the Marie Sharp exhibit slightly outside downtown San Ignacio is definitely something you should stop and take a gander at. This Mayan phrase translates literally to “Place of Ticks” and we’ll just have to take their word for it because a visit to the compact yet beautiful Mayan temple site will certainly not see you attacked by the tiny bloodsuckers. Of course- it is the jungle and you probably will run into a few if you sit on the ground or rub up on a tree. Cahal Pech can be compared loosely to the Great Pyramids of Giza, not that the scale is anywhere near that but it is nestled in a patch of rainforest that started off being close to San Ignacio town and is now surrounded by it. Great care has been taken to protect the perimeter that the site calls its borders and you would be hard pressed to identify that there is a Maya site in that patch of jungle unless you were told. A definite must see in San Ignacio if not for anything else than what an oddity it is. 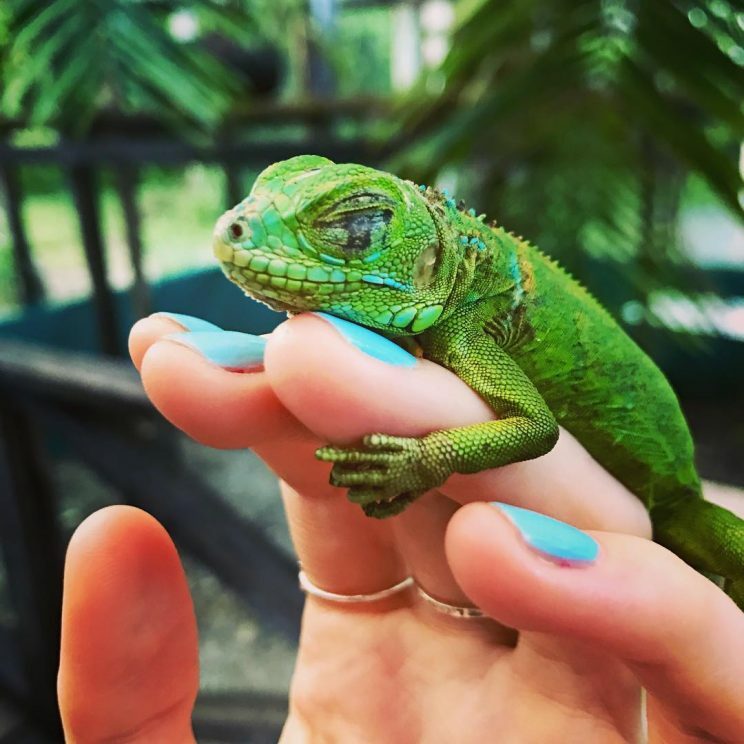 The Green Iguana Conservation Project hosted up at San Ignacio Resort hotel gives visitors a unique look at the lives and life cycle of these astoundingly beautiful yet endangered creatures. Green iguanas are a delicacy to some in Belize, this in conjunction with lenient hunting laws lead to an overkill on the population of these reptiles as they are hunted much faster than they can reproduce. In a disturbingly dark turn, the most prized iguanas are the female iguanas when filled with eggs which is a large contributing factor to the species decline. At San Ignacio Resort Hotel, the exhibit and interpretive tour do a great job of educating visitors about the importance of green iguanas and as an added bonus, once they’re fledged and ready for life in the jungle, they are released to be happy free iguanas. Isn’t that cool? This one is a two-for-one sort of deal, the town of San Ignacio has one of the most colorful, vibrant and varied markets around. in particular Tuesdays, Thursdays and most of all Saturdays the market is bustling with life. All manner of tropical fruits and vegetables are brought in freshly picked from farms for sale and the surrounding villages come to town to do their provisionary shopping for the week. Street food of the latino/mestizo variety are common fare here and are some of the most authentic breakfasts you’ll get from around these parts. As you’d imagine with a market, there’s always an interesting find lurking around that you’d never expect to be where it actually is. The welcome center is a slight bit of an oddity in Belize, the only of it’s kind it’s more of a plaza where the busses stop and is a hub for travelers to refuel quickly before they head off to their final destination. At the welcome center as well is a stage where the town puts on cultural performances every so often and mini-fairs are held on the ground for any passers-by who would care to venture in. 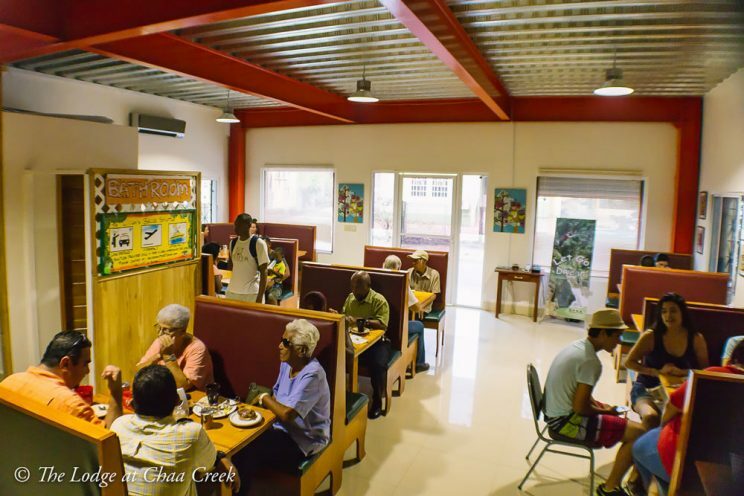 The Welcome center is a nice place to start or end your exploratory expedition of San Ignacio with a hot bite to eat, a cold drink or an awesome show. El Pilar is technically not in San Ignacio, but it’s easiest accessible through though via Bullet Tree Falls Village. In 1983 when this are was mapped it was found to be one of the most extensive farming settlement in the area which meant it was of extreme importance to the Maya of this area including Xunantunich and Cahal Pech. Today El Pilar (which translates to watering basin) is open to the public and is a favorite for birders. The area is rich in rainforest dwelling animals and seems just as popular with the native spider and howler monkeys that live nearby as it is with locals and travelers. At Chaa Creek, eco-friendly sustainability is the not just what is done but it’s the general way of being. The setting of this green lifestyle is 400 acres of pristine private nature reserve within which all manner of Belizean wildlife can roam free and undisturbed as they see fit. The Lodge at Chaa Creek, apart from the fun activities they offer, have also equipped themselves to provide an educational experience to all who wish to visit. Their rainforest medicinal plants trail gives hikers an opportunity to see, touch and experience the flora that bush doctors of old used to create healing natural medicine. The Natural history center gives visitors a look at the Mayan aspect of our history and a look at many of the animals that call Belize home. Coolest of all is the Butterfly exhibit, Recently expanded to house 3 different species of butterflies, this exhibit is purposed for the education of visitors about the importance of butterflies to the ecosystem. The first phrase you may hear there is “The presence of butterflies is the mark of a healthy jungle eco-system”. 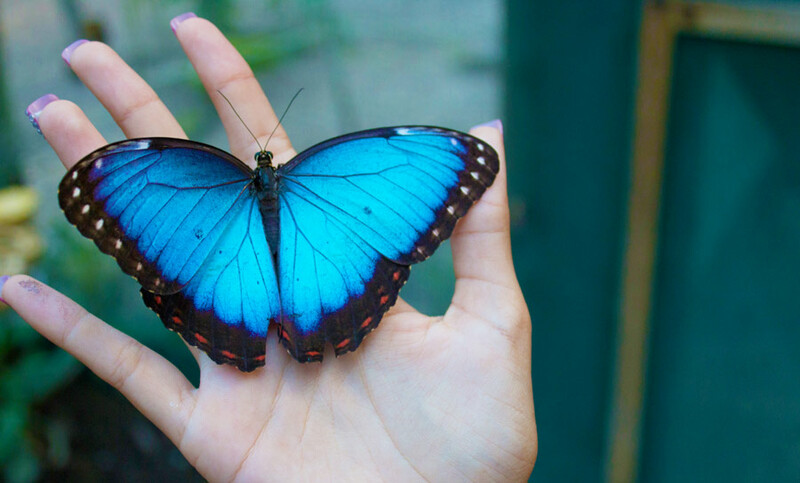 The star of the show here is the iridescent Blue Morpho butterfly, a rare species and the mascot of The Lodge at Chaa Creek. 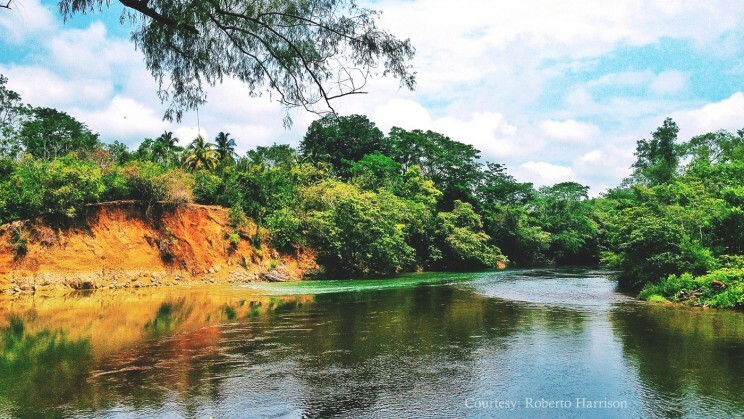 The meandering Mopan river is our end of a long river that originates in Guatemala. By the time it has reaches us in Belize it’s a calm and relaxing water body that other than a few patches flows lazily and lends itself well to hopping into a flotation device (in many cases a tractor inner tube – we like to improvise) and floating down while you take in the sights of the surrounding area and villages. The Mopan river makes its way through several communities including the border town Benque Viejo del Carmen, Succotz Village, Bullet Tree Falls and Santa Familia, there are multiple opportunities to witness something out of the ordinary on your way down. The Macal river can be described as the maverick brother of the Mopan, originating in the upper reaches of the Maya mountain range, it’s close origin leads to sharper currents and more intense “falls”. Not ideal for tubing, but canoeing down this river is a real treat! The rapids are not on the level of white water rafting, well suited to the less experienced but still adventurous and who knows, it could spark a passion for an entirely new hobby! A highlight of the downstream canoeing on the Macal river is the animal spotting. You can bird watch or monkey spot and who knows – you might see something you never expected to! Relatively new to San Ignacio are quad bikes available for day rentals to tour the town. The cool part about these is that you have 4 wheels and don’t need to worry about falling off! The cooler part is that these off-road bikes allow you to take the reins of you own exploratory adventure and go practically wherever you want. If you’re more adventurous and don’t need 4 wheels to feel secure, then by all means go for one of the cool mopeds available, or if you’re more of a daredevil then opt for one of the sportly Dirt bikes that you can get downtown. A definite must do is quad bike up to Cahal Pech, even though you can’t quad bike around the ruin the refreshing breeze through your hair should be enough incentive to take these bad boys just about anywhere you want to go! This one is rather self-explanatory. 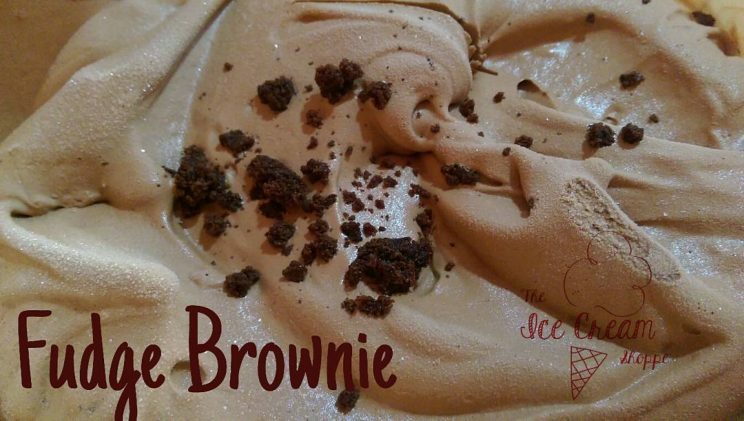 The Icecream shoppe, formerly known as Scoops ice cream, was a Belize City institution for a very long time and has in recent years re-opened under a new moniker and expanded to San Ignacio – and boy, are we glad they did. They mix rich home made technique with local flavor favorites like soursop, craboo and cashew fruit while mixing it up every so often with international ideas like maple bacon ice cream or Jagermeister and other spirited flavors. Whichever you decide to get, skip the cup, skip the sugar cone and go straight for their homemade waffle cones! Ah, lunch – the second most important meal of the day, or just the second meal of the day in general. If you’ve started off on a high note why let the emotion sink as time goes along? San Ignacio has superb eateries for lunch that will match or even surpass your impression of breakfast. Martha’s kitchen, part of Martha’s guest house, owned and operated by – you guessed is Mrs. Martha. This establishment is in the league of pops and all the other great time-tested establishments of San Ignacio and offers up some of the best homestyle Belizean food in downtown. The lunch specials served up here are killer, if you ever stop by and soup is the lunch special of the day (really any one of them) do stop and try because their conch soup not too long ago was top notch! The staff and ambiance at Martha’s make you feel comfortable and at home whether you’re stopping in for a drink to get fresh from the downtown heat or refueling to keep on your adventures around the place. Hodes place is yet another restaurant that has expanded to be more than just another food joint. Hodes is the perfect venue for a large gathering of friends, or tour groups or a meeting of some sort as some local volunteer organizations do. One of the coolest things about Hodes (and this will sound surprising to many of you as it’s not common in town) is that they deliver within town. You can have their awesome food brought straight to your house, room, rest stop, downtown hotel or even to the park if that’s where you’re at. their rice and beans paired with fried chicken is an absolute delight, all their food is as Belizean as it comes and the portions are killer! Their setting is also secluded and quiet so ideal for a quiet date or a business meeting. An underrated observation about this establishment is the fact that even on a hot day it is usually quite a few degrees cooler than other places and that’s something that shouldn’t ever be overlooked in a tropical country like Belize. Health experts will tell you that dinner should be your most modest meal for reasons like weight regulation and metabolism considerations etc. al. Whether to our detriment or not, Belizeans don’t believe that dinner should be a mute point and in that spirit, you should definitely give these places a try for a culinary delight! The Guava Limb Restaurant & Cafe has become the model for innovative, interesting and delectable cuisine in the San Ignacio food scene. Aside from the impeccable service and relaxed ambiance a major draw to this place is the daily special that changes every day with something new and exotic. The chefs at the Guava Limb mix up Belizean ingredients and flavors in new ways with beautiful presentations to make utterly one of a kind dishes day after day. Their farm fresh organic ingredients sourced daily from the Maya Farm at The Lodge at Chaa Creek keep all of their preparations clean, preservative free and nutritious. The restaurant at the San Ignacio Hotel is another institution in town as it’s been around as long as many people can remember and never ceases to evolve and one up itself. 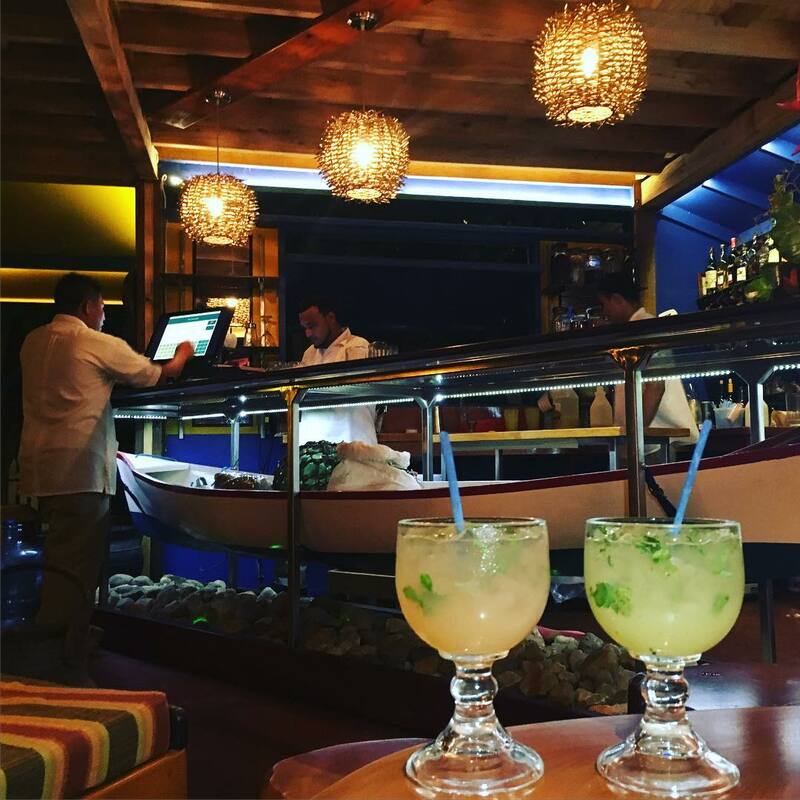 As the winners of the 2016 restaurant of the year award from the Belize Tourism Board one has little choice but to expect great things from their cuisine. They deliver time after time on those expectations with their thoughtfully put together Belizean and international platters. The Running W steakhouse at San Ignacio Resort Hotel serves some of the most savory and fresh organically grown steaks (organically grown cows – sadly steak trees don’t exist) this side of Belize that are sourced locally not even 10 miles away. Are we sensing a farm to table theme about this town? The name directly translates to Let’s Go Eat! Not that we here at Belize Travel Blog are ever ones to blindly follow trends, but few are the times that words fall together so perfectly to illicit a response without nary a second thought. The Belizean food (as is to be expected by now) at Ko’ox Hannah is top notch, but what is REALLY good here is the Indian food, no, it’s not exactly an Indian restaurant, nor is it any other subsection of anything other than all around Belizean with darn good Curry. A must try at Hannah is their lamb burger with goat cheese, perhaps they thought sheep cheese would be laying it on thick with the sheepy theme, but it all blends in perfectly into a tender savory and oh so satisfying meal. We must also add, that it’s hard to beat the value you get at Ko’ox Hannah in terms of price vs portion. Even if not for the price, do stop and eat here – you’ll love it. Not groggy from dinner or way too full to move? Let’s have some fun then! The Dugout is a relatively new addition The Guava Limb Cafe, though Guava itself is pretty new. The Dugout bar is located in the lower rear part and offers cozy ambiance and superb cocktails and mixed drinks. Each day with Guava Limb’s lunch specials a cocktail special is added at a 2 for 1 discount, what could be better than that? They get as creative and meticulous with their drinks as they do with their food and the aesthetic alone of a cocktail from the dugout is enough to merit getting one. The Princess Casino is adjoined to the San Ignacio resort and Hotel and provides an injection of lively nightlife with a casino and (literally) underground nightclub. One would never imagine a night club being a good idea near a hotel, would you? One would never imagine a night club is even in that area as the noise is always contained – be it by a miracle of engineering or just good old natural soundproofing. The restaurant in the casino itself is open until about 4 a.m. so you party animals can cure your hangover and hunger before you even go to bed. Thirsty Thursdays (not open only on Thursdays) is a popular local watering hole and quite the party spot in most weekends. The branch in operation in San Ignacio is located just across from the casino, and you’d think that’s a bad thing for business but it seems to not be for either establishment as it’s made that stretch a small party hub and people shuffle between both at their leisure. Thirsty’s is known mostly for their frequent events, if you’re looking for a guaranteed party this is where to look in San Ignacio for the time being. As comprehensive as this guide seems, it’s not at all exhaustive, did we miss anything? If you have any absolute must include for our San Ignacio guide, let us know in the comments section below! Thanks for the write-up. Most informative and enjoyable.